The sun is shining today and my plants are so happy! Last night when I got home Mr Mac was beavering away in his log shed. 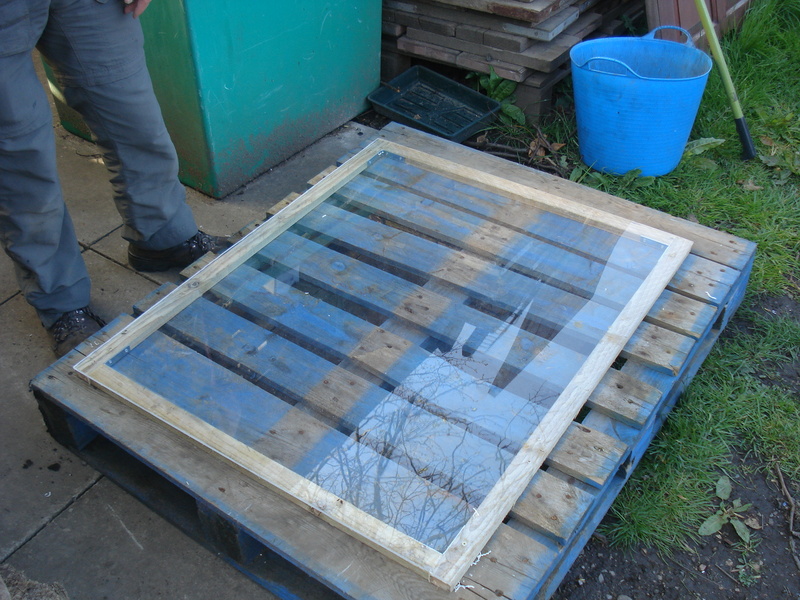 He had acquired some perspex and had decided to make me a coldframe. Last year’s coldframe using our old front door! 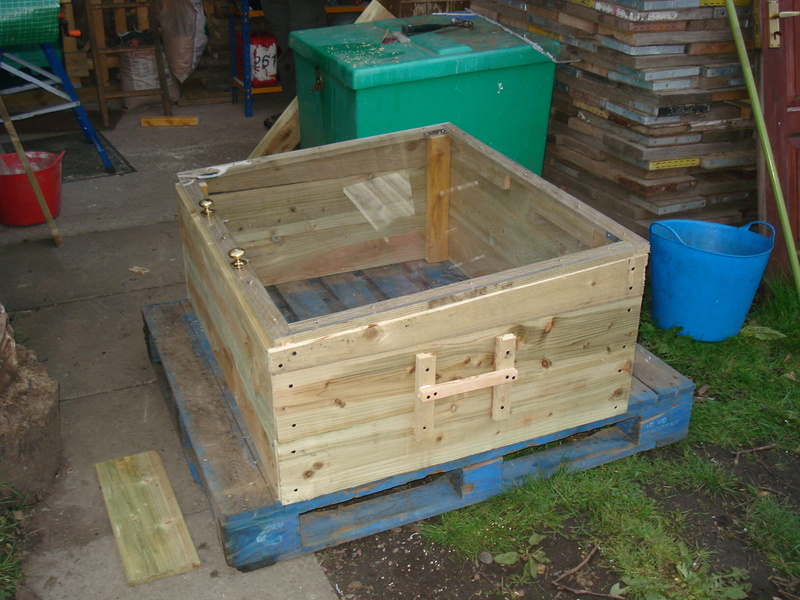 Last year we cobbled together a temporary coldframe using our old front door and some wood nailed together. It did the job but it required super-human strength to open and close it. 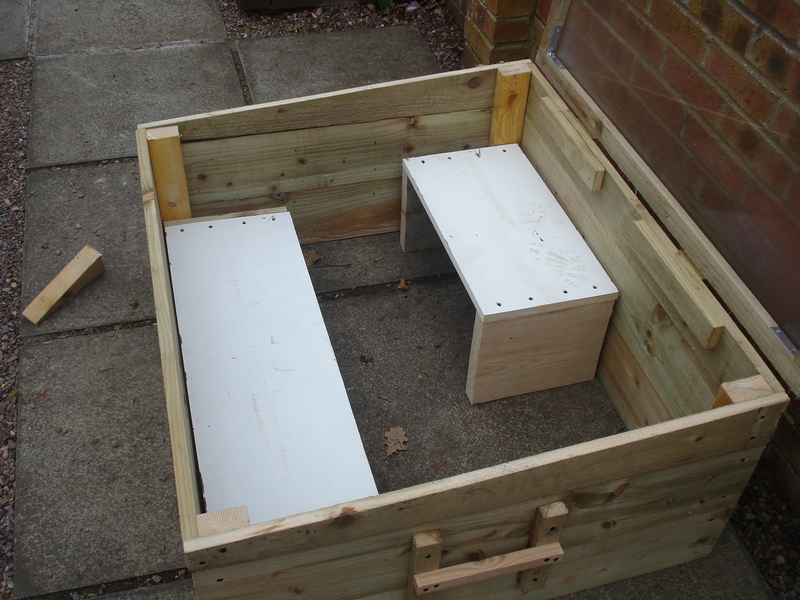 This year we have created a slabbed area specifically for coldframes and Mr Mac decided he would build new ones as soon as he could acquire some perspex to use for lids. Lying open on his work bench was the only book Mr Mac ever consults on gardening matters – Gardeners’ World Practical Gardening Course by Geoff Hamilton – “The Complete Book of Gardening Techniques”. I don’t remember Geoff Hamilton (too young) but I am assured by Mr Mac that he was the Alan Titchmarsh of the 80’s and 90’s. 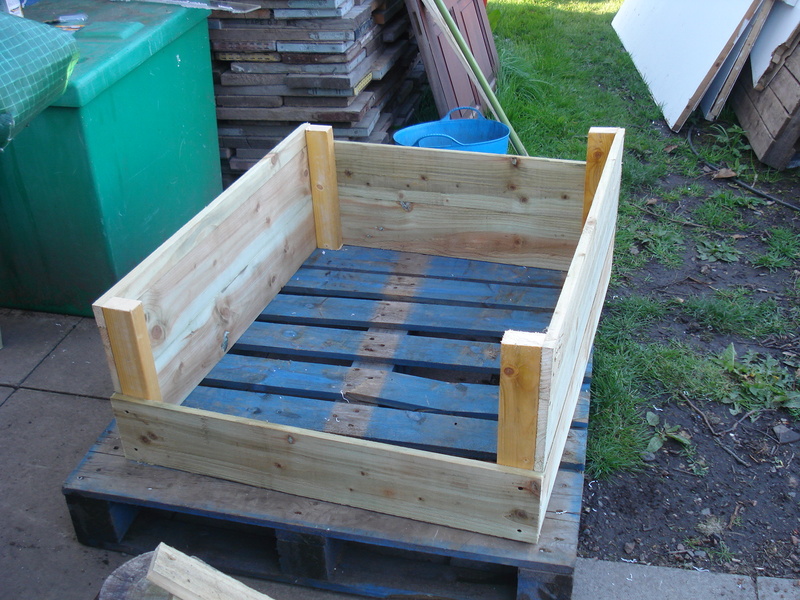 In true Mr Mac style, he decided to make some tweaks to his gardening guru’s design only admitting, when I commented about the depth, that he should perhaps have stuck to the measurements in the book. 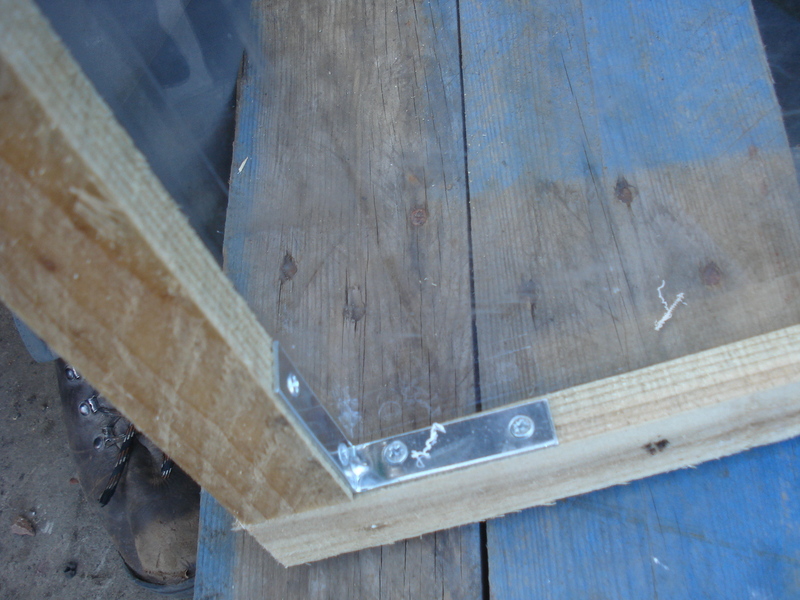 The perspex was framed with wood. Not sure what these are but Mr Mac told me to take a picture of them. 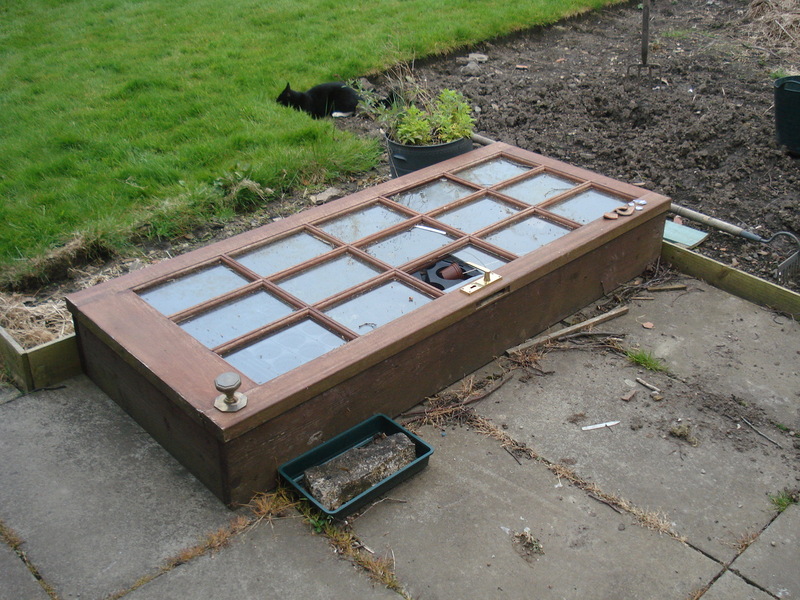 The lid is attached with hinges and two of our old wardrobe door knobs have been recycled. Note the bespoke carrying handles at the side! 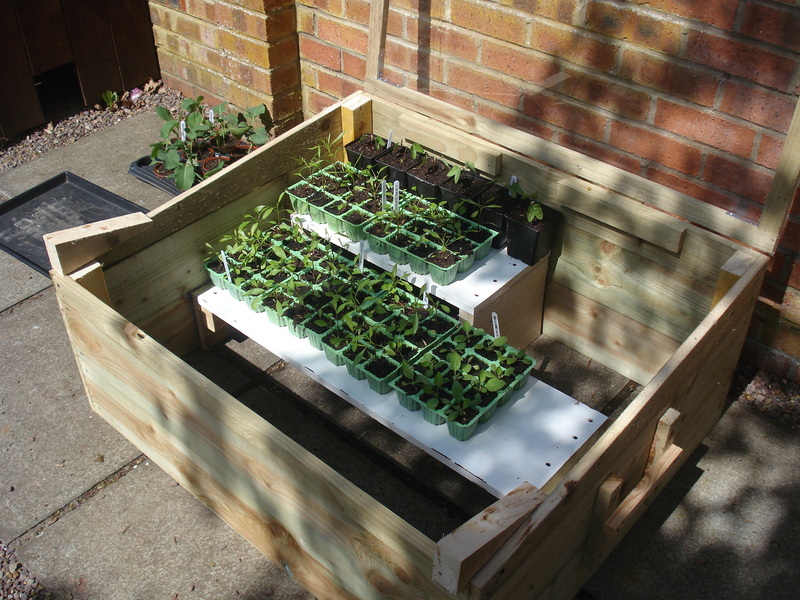 We both decided that, while it was a good depth for taller plants, smaller plants might struggle to get enough light. So first thing this morning, before he went to work, Mr Mac went out and made two removable shelves, both at different heights. Some more perspex is on the way for another coldframe but for the moment I can at least start to get some plants acclimatised so they can be planted out later this month. 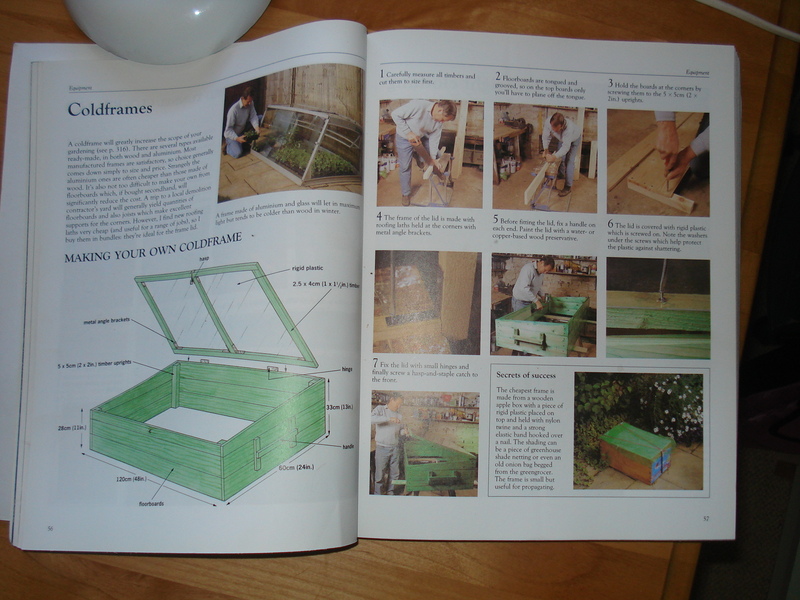 This entry was posted in General and tagged alan titchmarsh, coldframe, gardeners world, gardening, geoff hamilton, perspex. Bookmark the permalink. 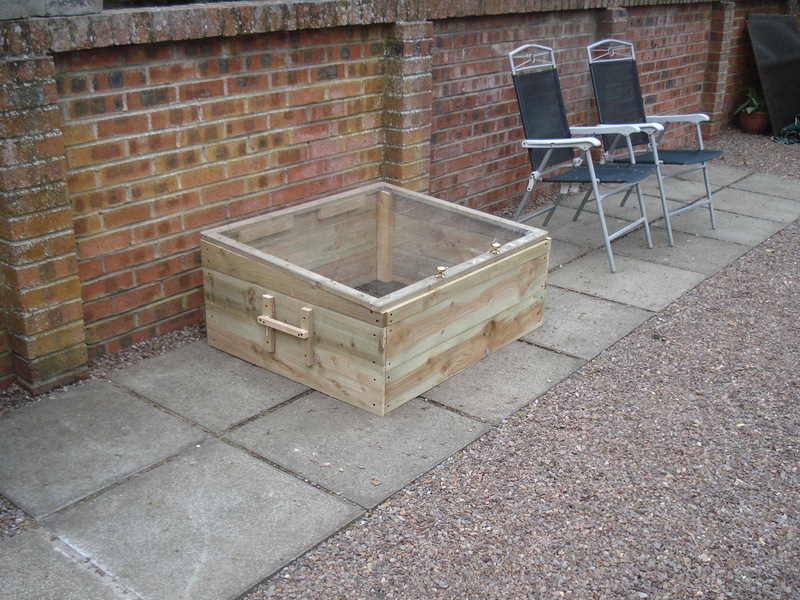 Wonderful coldframe…. I need a “Mr. Mac” in my family! Enjoy it…. it looks fabulous!